Inspiration forms in peculiar ways. Lina, who is part of Marina’s design team, is currently staying at Marina’s flat, therefore they spend 24 hours a day together. Somehow with no planned coordination they often find themselves wearing similar colours, silhouettes and styles. They are living, dressing and working on the same wavelength and this is what inspired today. 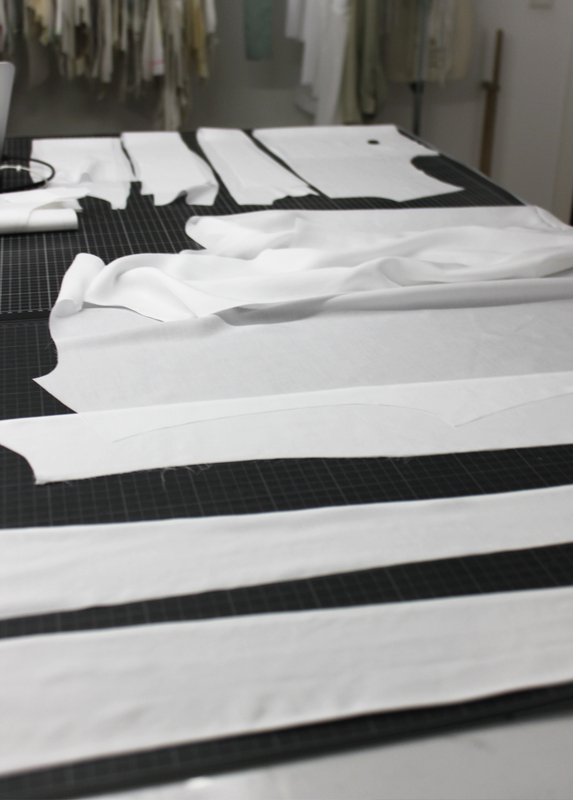 Day 26’s piece is two blouses that come together to make one. Mirroring Lina and Marina’s matching dressing style, these blouses are similar but not the same. 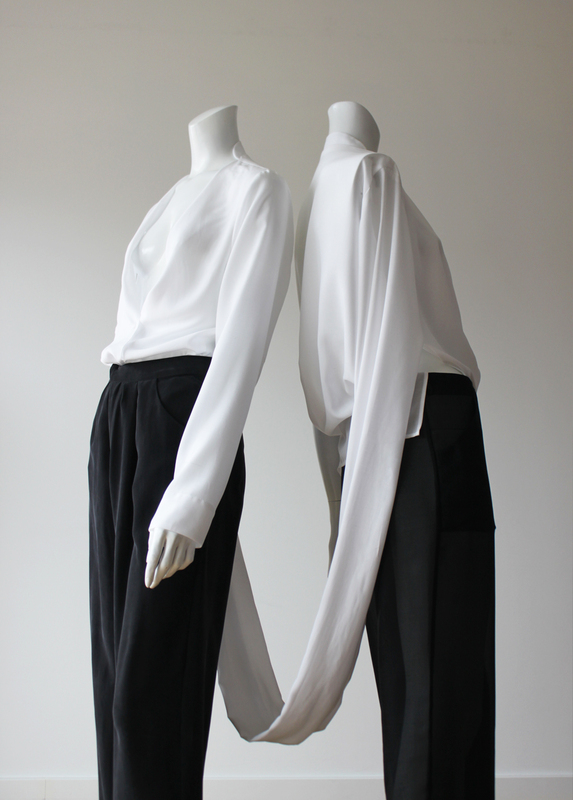 Today´s blouse is technically two pieces that are joined by a long sleeve. These pieces are made to be simple apart and complex together. 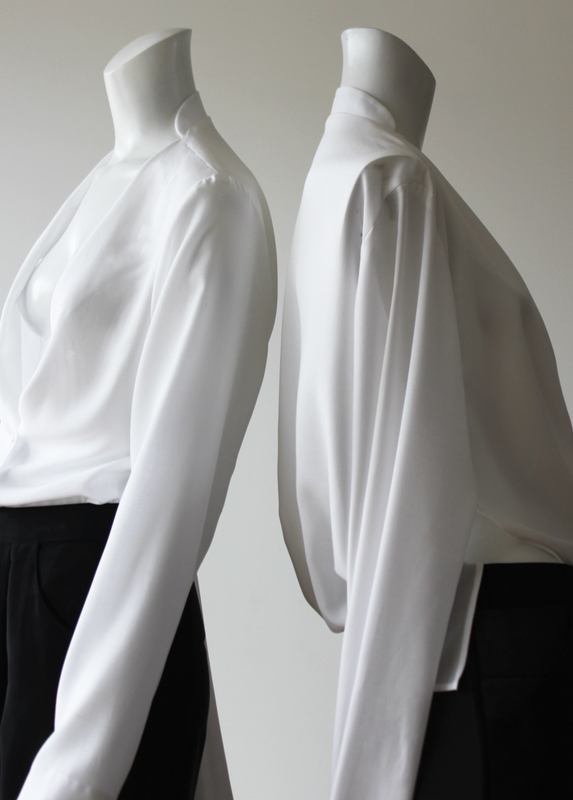 They are elegant and ethereal, simple complication is key to this blouse. 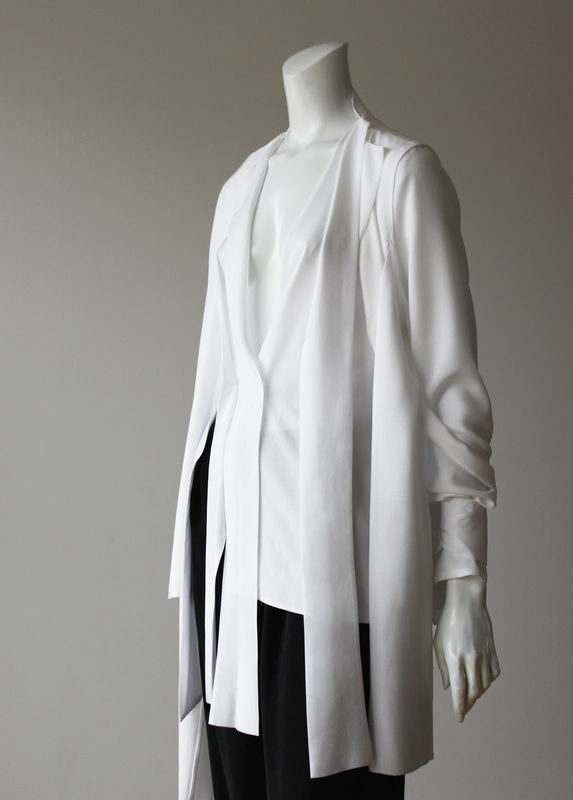 Although joined by one sleeve and being separate pieces, the idea behind today´s design is to take one blouse and drape it over the other, to form one design. Today was an easy design day. We were inspired by the similarities of two people living and working together in such an intense time. The design team truly shows respect and passion in 30days / 30designs. 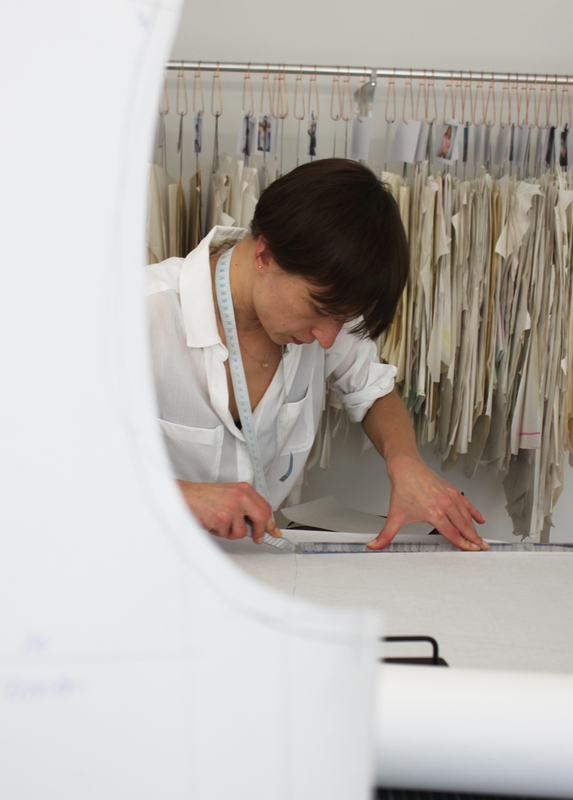 It is them who bring the inspiration and ideas to life, so today´s blouse is great to have a piece that represents the teamwork and respect shown in 30days / 30designs.